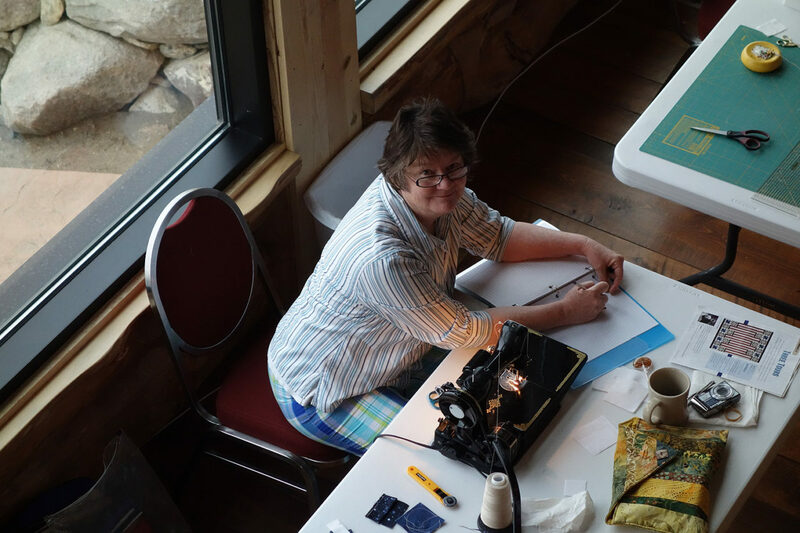 Join us March 15-17th for Quilting at Coteau des Prairies Lodge: A quilting retreat, pop-up-shop & trunk show. 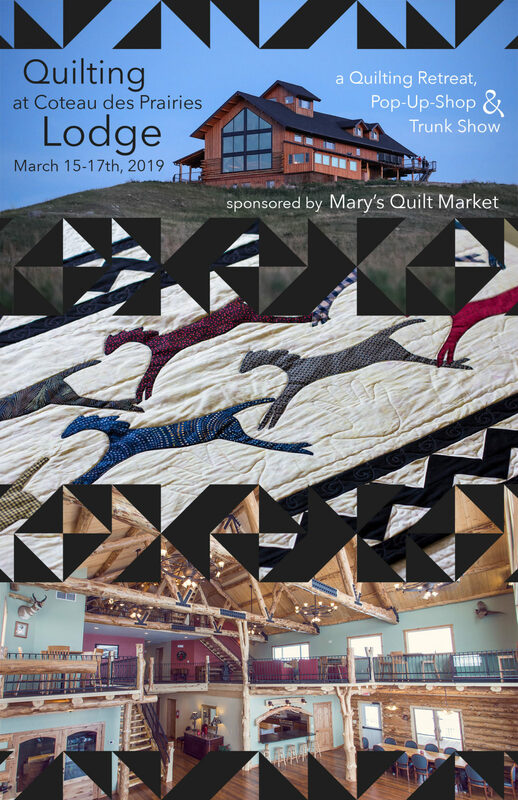 This event is sponsored by Mary’s Quilt Market (Arthur, ND). 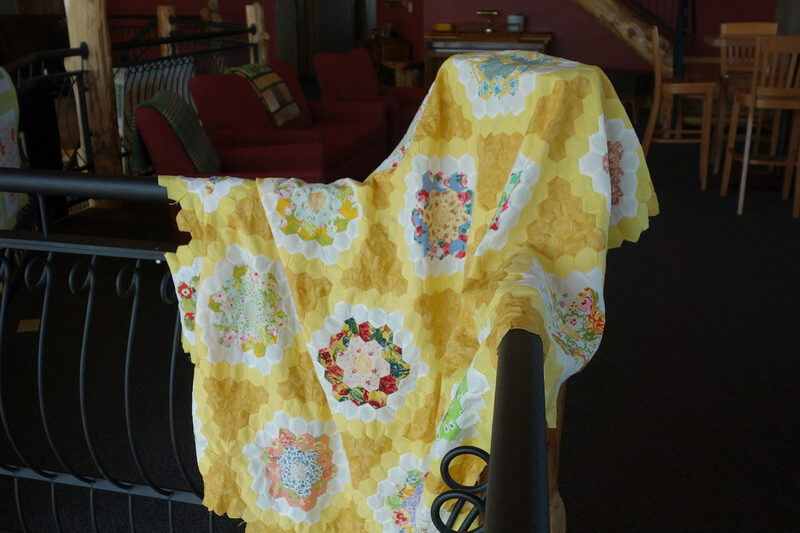 We have hosted many quilters since we opened 5 years ago. And it’s no wonder. 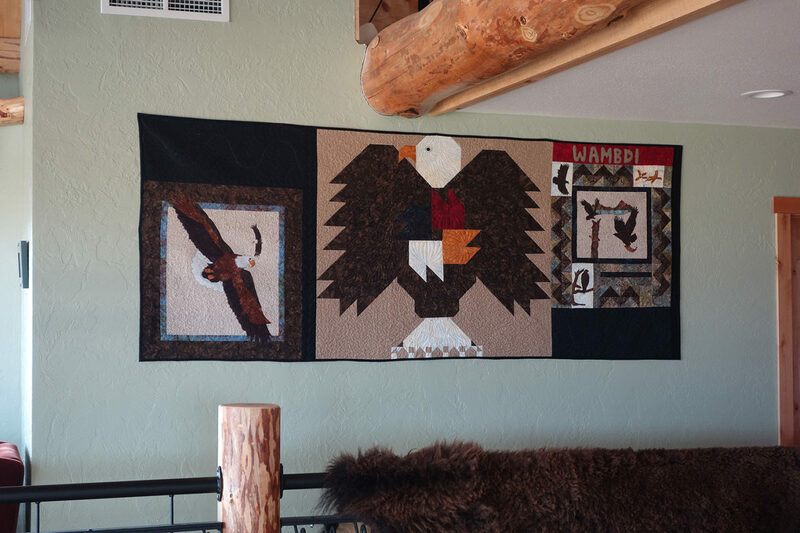 There is just something about the lodge that invites creativity. We have oodles of natural light and tons of room to spread out in a gorgeous space away from the distractions of life back home. Our Rustic, yet refined atmosphere means you can enjoy wild edge North Dakota pine logs while holding a freshly brewed North Dakota craft roasted coffee. Sunrises and sunsets are amazing viewed in the open breeze or from the comfort of the porch. Basically, it’s perfect. Maybe you want to spend a few days at the lodge or maybe you can only spare a quick day trip. Either way, this event is designed for you. Cozy in for the retreat or just show up for the pop-up-shop and trunk show. Check out the details below. Treat yourself with a stay at the beautiful Coteau des Prairies Lodge. 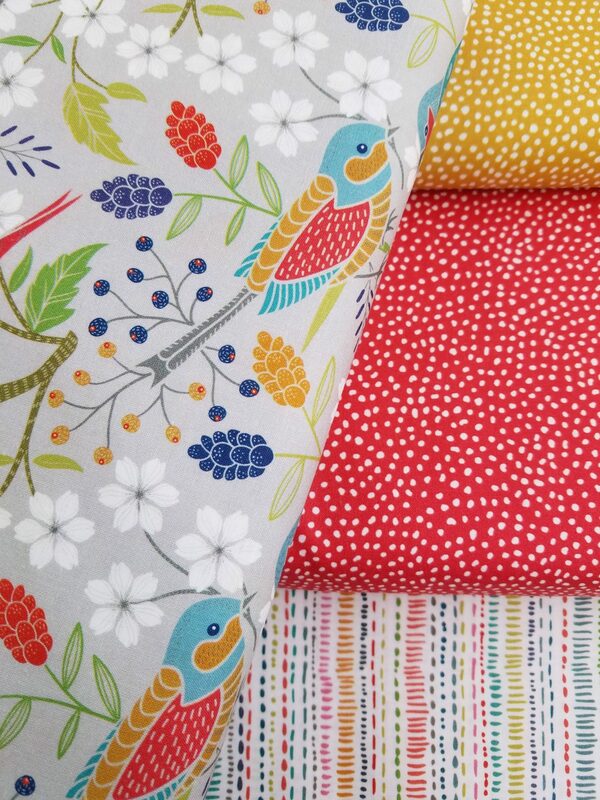 Do what you love – Quilt! – in the great room which features arguably the best prairie view and awe inspiring architecture in the upper Midwest. Customize your own retreat. Stay at the lodge for one or two nights. Breakfasts are included. Homemade lunches and dinners are catered by Coteau des Prairies Lodge. 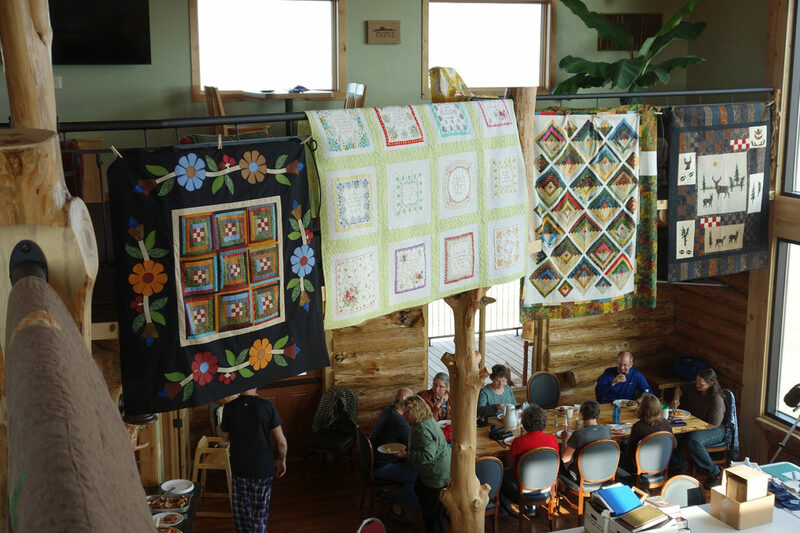 All quilters of any skill level are welcome! 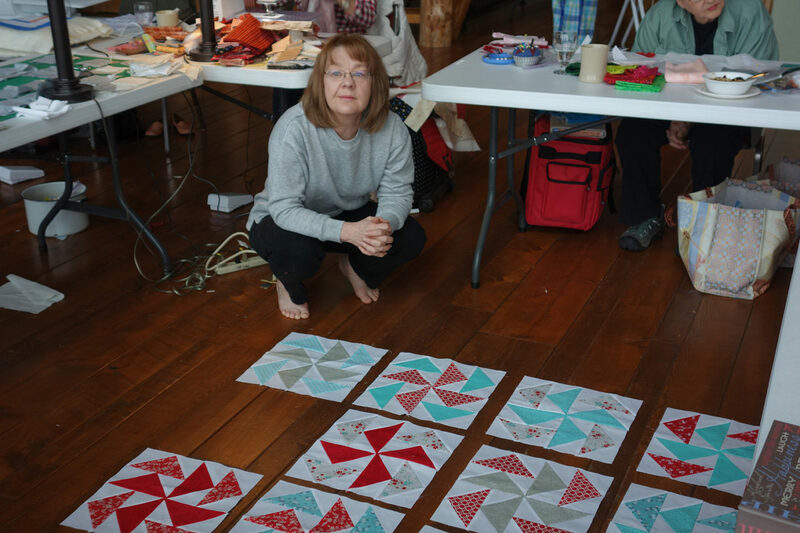 A Beginning Quilting instructional class is available, register separately. Call Mary Beth Engelke at 701-967-8585. 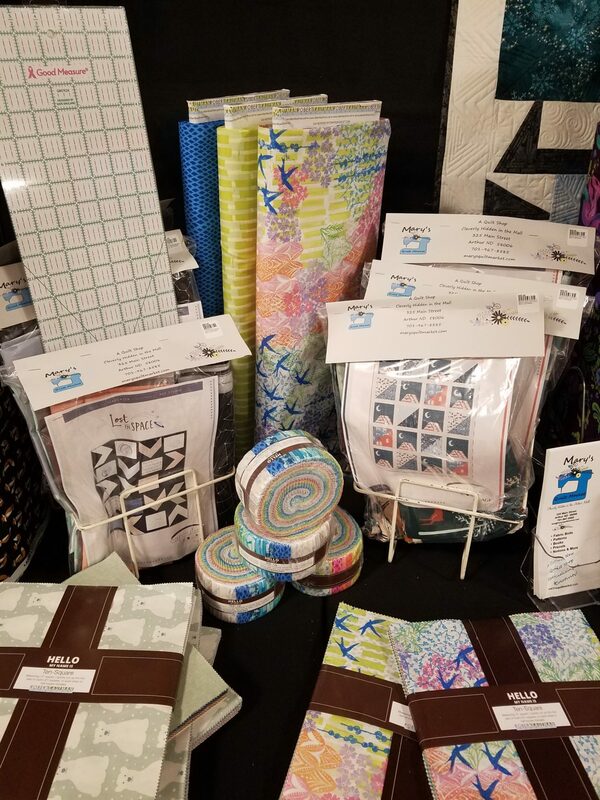 Mary Beth will have a private pop-up-shop in the lodge open all weekend just for retreat guests (the pop-up-shop will open to the public on Sunday at noon). 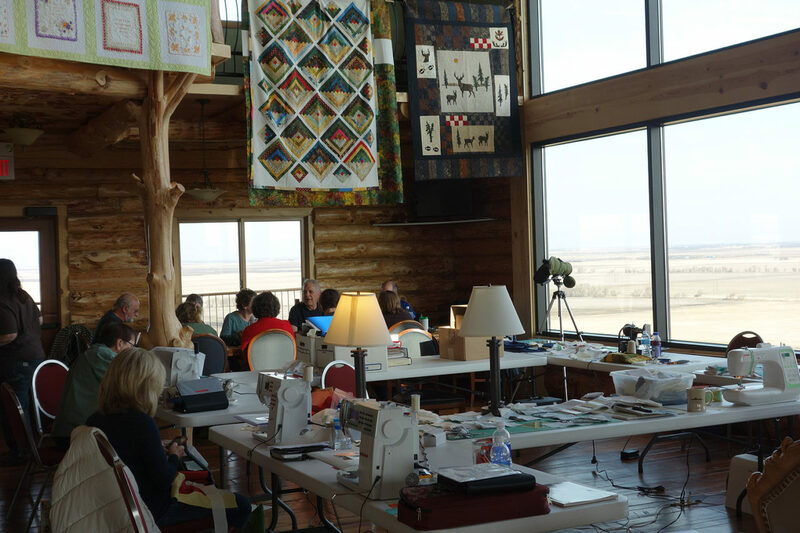 Schedule: The quilting retreat begins at 10 am on Friday, March 15th and ends at 4 pm on Sunday, March 17th. Retreat guests are welcome to begin and end their stay as they wish. Indicate your arrival/departure schedule when registering. Pricing: $120 per room per night (special event pricing). Each room includes two full size beds and a private bathroom (rooms sleep 1 to 4 guests). Lunch is $12 per person per day. Dinner is $15 per person per day. Water and coffee are provided. Other beverages including alcohol are available for purchase. 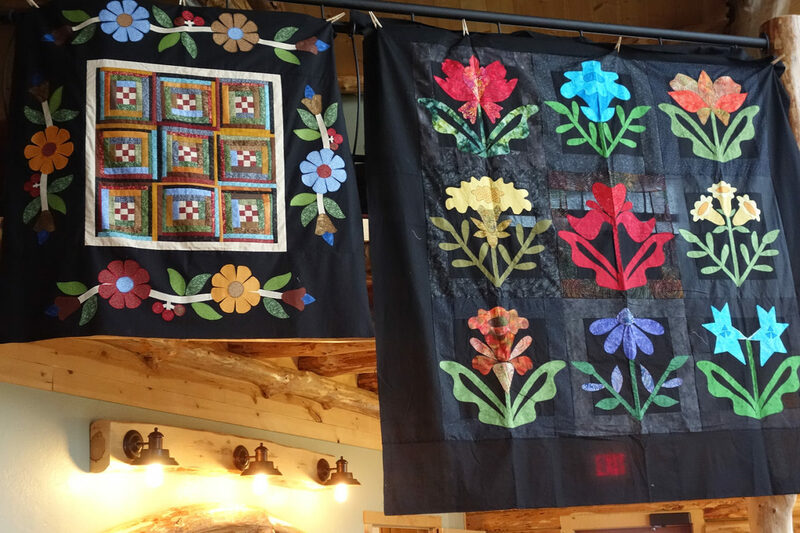 Registration to the Quilting Retreat includes admission to the Trunk Show on Sunday. Registration: Call Olivia Stenvold, Lodge Manager, at 701-680-1175 to make your retreat reservation. Limited space is available! Register ASAP to guarantee your spot. 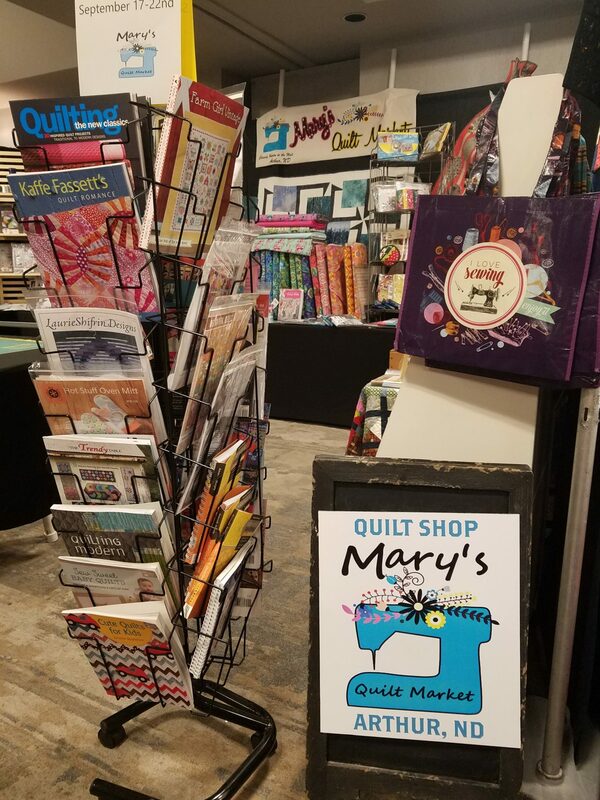 Mary Beth Engelke from Mary’s Quilt Market (Arthur, ND) will put on a Pop-Up-Shop on Sunday, March 17th from noon to 4 pm. 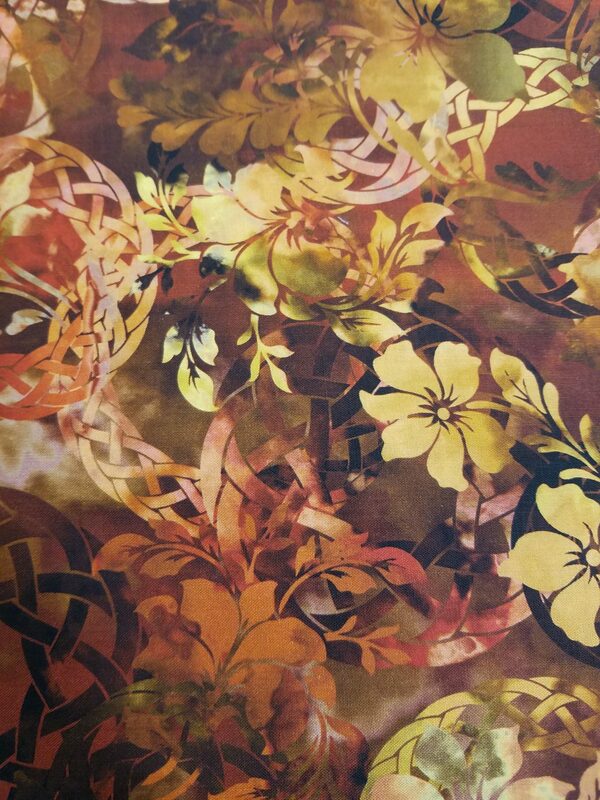 Browse a wide selection of fabrics, kits, precuts, patterns, books, gifts, notions and more. This is open to the public and anybody is welcome to come. 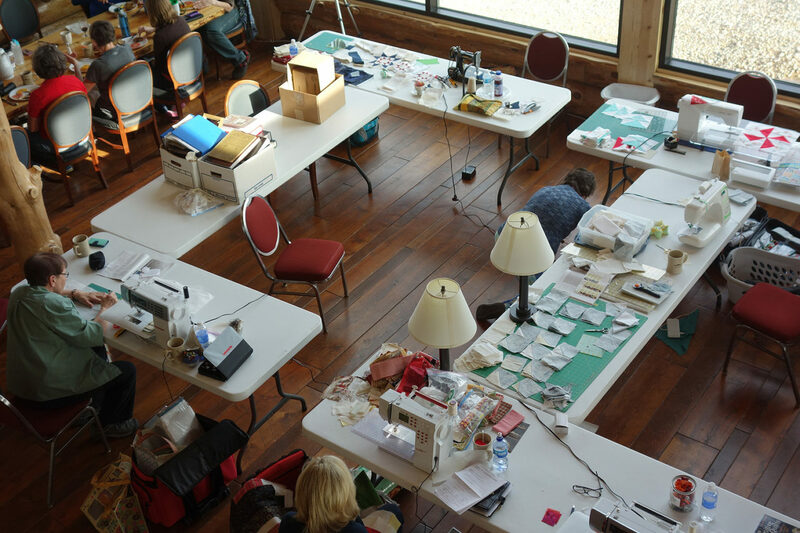 You need not be a Quilting Retreat guest to attend. Walk-ins welcome! 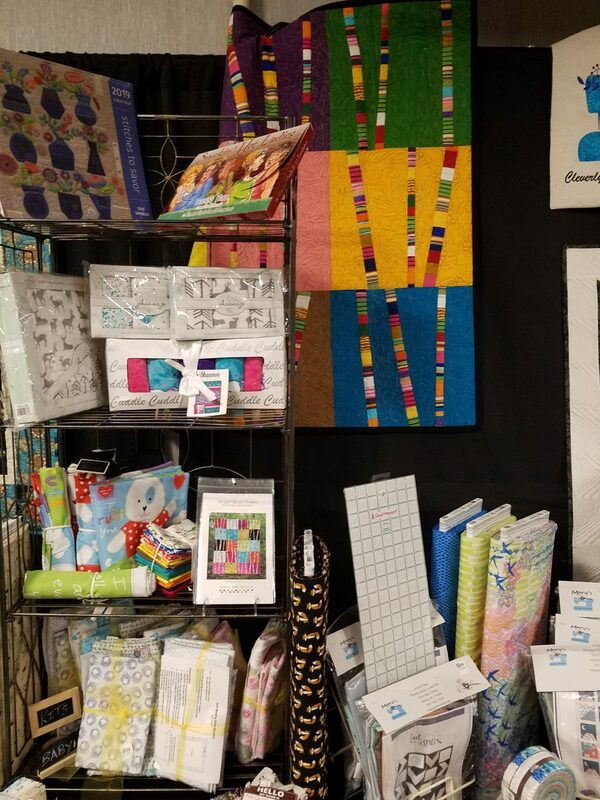 For more information about Mary’s Quilt Market, visit her website at www.marysquiltmarket.com. 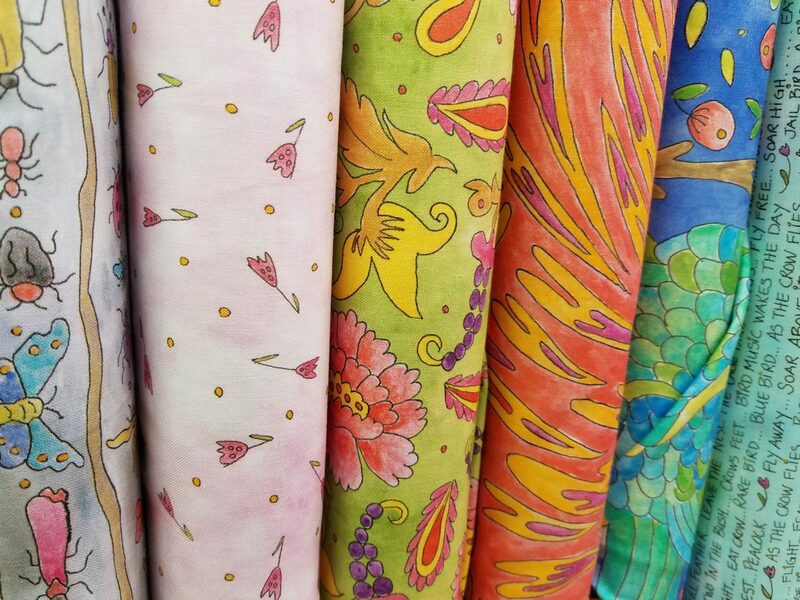 Mary’s Quilt Market Pop-Up-Shop will feature items like these pictured below. Join us for a fun trunk show in the magnificent great room on Sunday, March 17th from 2 pm to 4 pm. 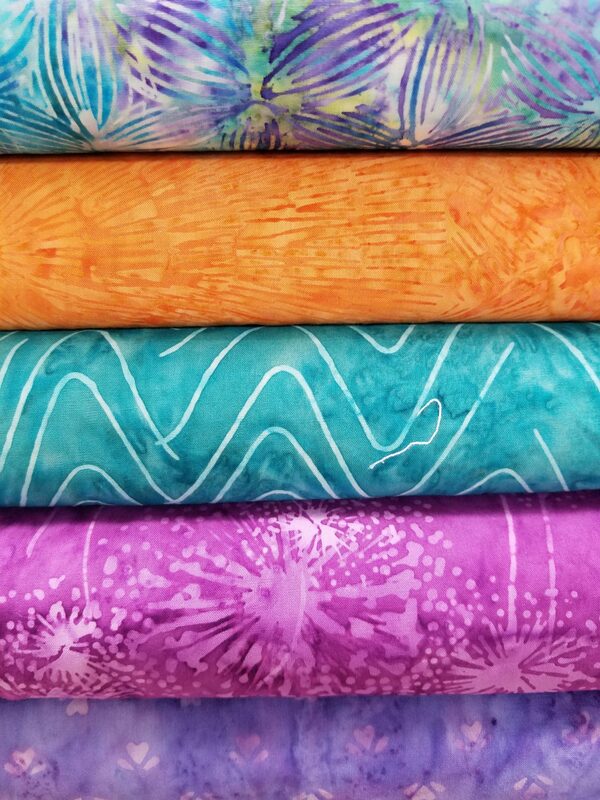 Find inspiration from your fellow quilters and get new ideas to bring home to your quilting room. This is open to the public and anybody is welcome to come. 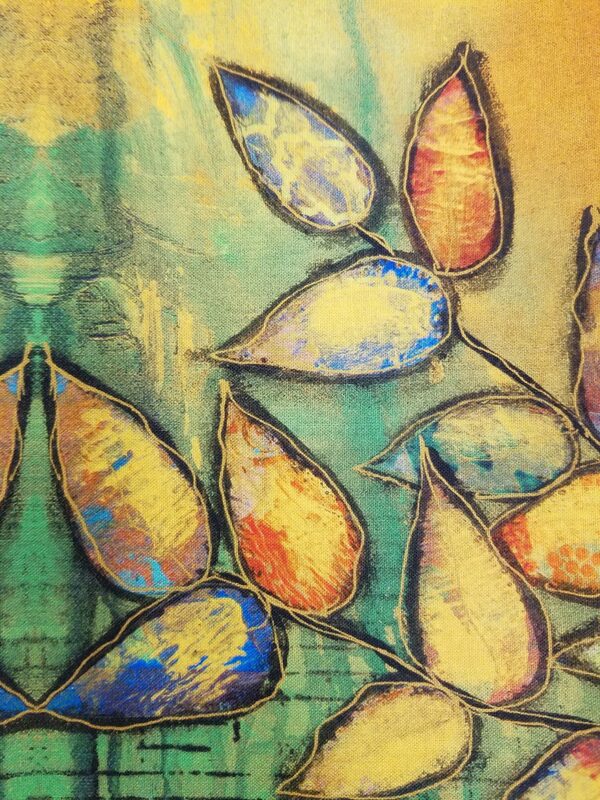 Your $12 admission, paid at the door, includes the trunk show and a dessert. Please call Olivia Stenvold, Lodge Manager, at 701-680-1175 to preregister, but walk-ins are welcome. 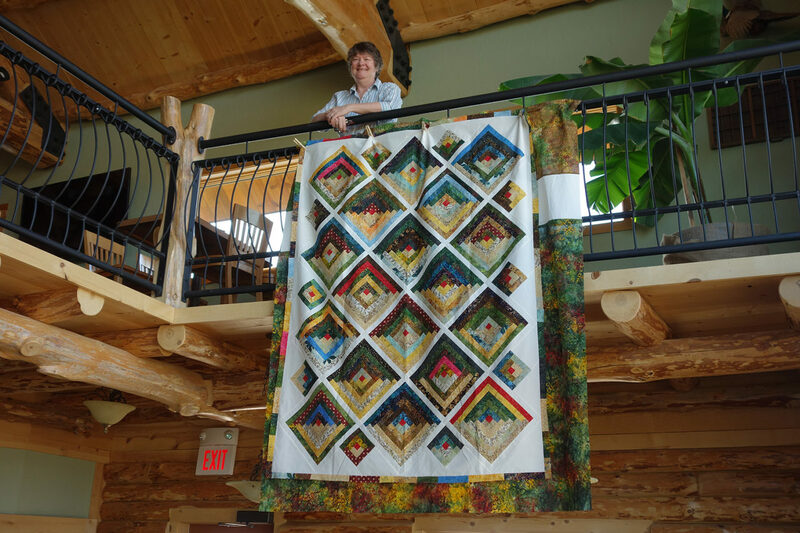 See photos from some of our quilting friends through the years. Click on an image below to open a photo gallery. Where are you located in North Dakota? Hi Brenda, thank you for contacting us. We are located in Southeast North Dakota near Havana. We are 90 miles southwest of Fargo. 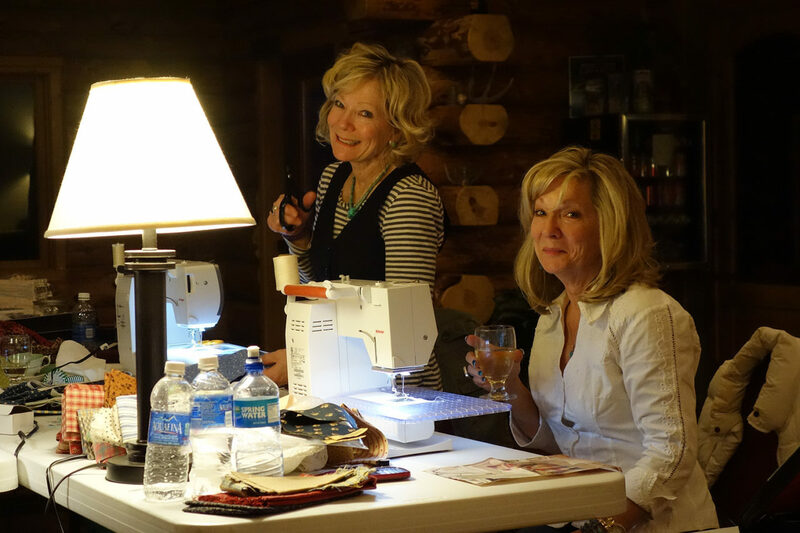 Four of us would like to join you at the quilting retreat in March if you still have room. I’ve left messages on the phone number listed above. 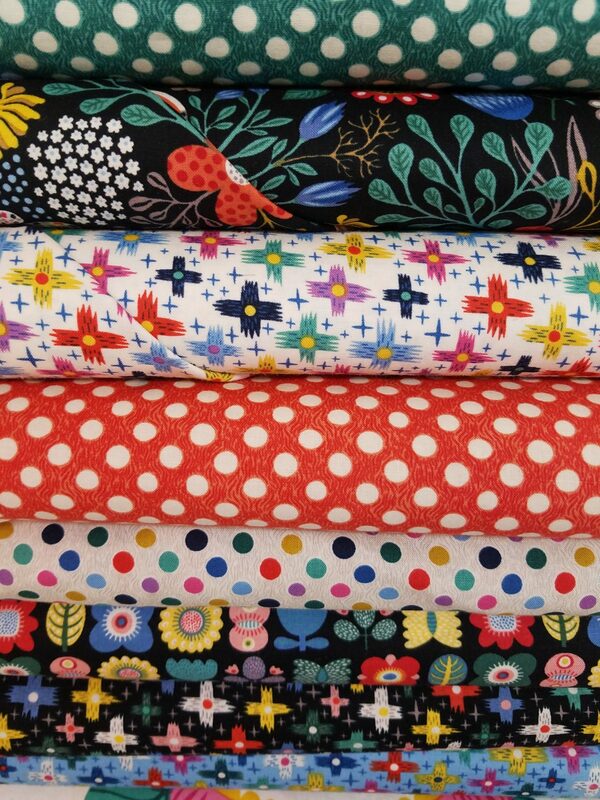 If 2 quilters share a room is it 120 per person or 60 per person? Checking for our guild. Hi Deb, the price would be shared so each person would owe $60 per night if a room is shared between two people. Thanks! Any openings for retreat? Any one interested in sharing a room? Hello are there any openings left? What hours of operation are you open?